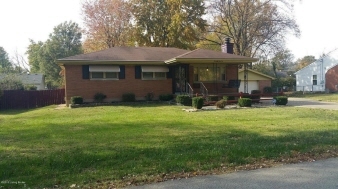 Description: Beautiful brick ranch home located on a dead end street. Features include hand made cabinets and trim work. New hvac in 2007. Sump pump and electrical panel in 2015. 2.5 car garage with a large workshop and new floor. Partially finished basement with utility sink and workshop. Data believed correct but not guaranteed. Buyer to verify data prior to offer. Agents read agent remarks.